Surprise! 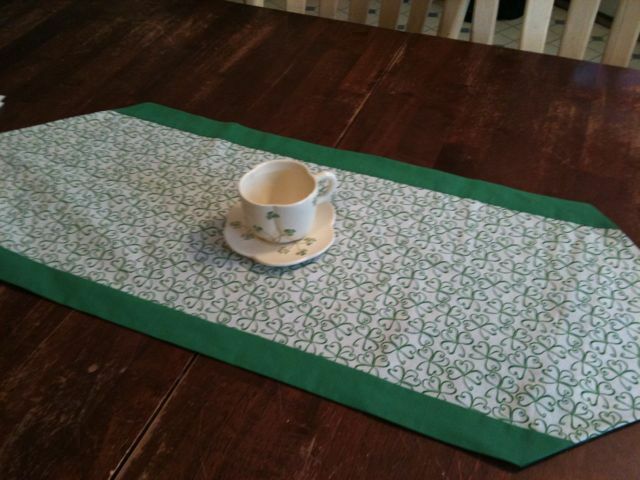 My mom made this lovely shamrock runner for my March table. 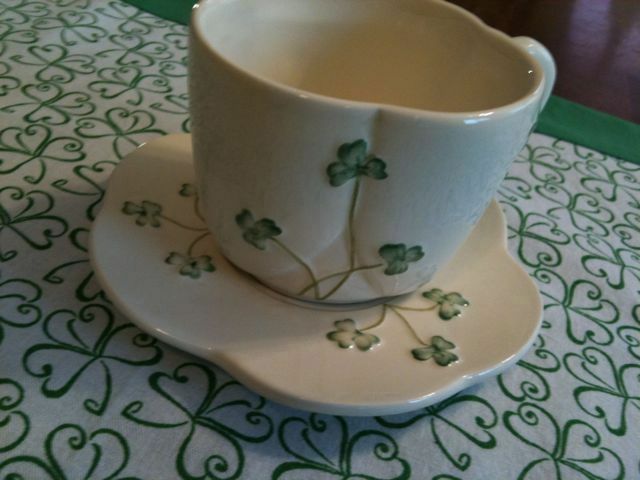 When I was born, the nurses hung little shamrocks on my bassinet and served my mother grasshopper pie for dessert. 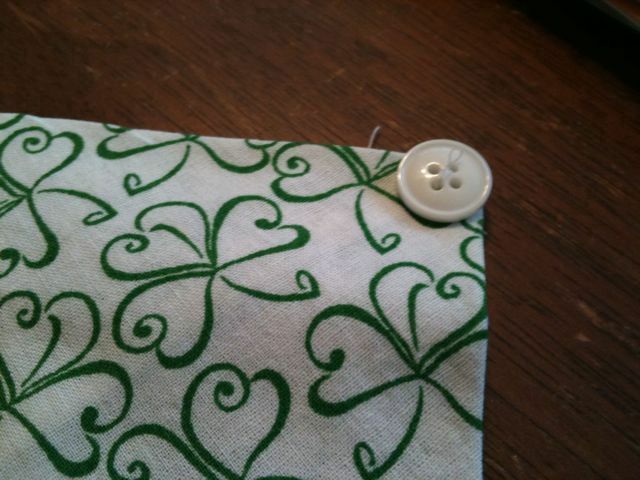 It’s no wonder I enjoy celebrating St. Patrick’s Day. 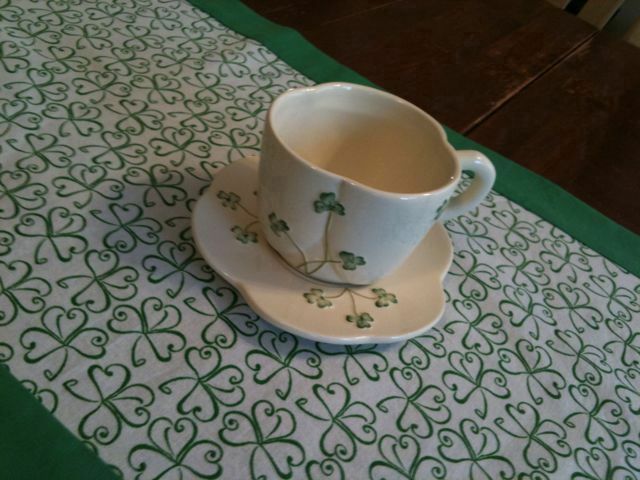 Doesn’t the sweet shamrock teacup my son brought home for me from his summer in Ireland look absolutely perfect? Bring on the corned beef and cabbage!